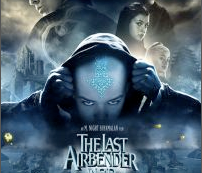 So saw the last Airbender. Cat wait for the riff of it. Was funny as hell wit my friends shawna and spaz. With the trouble in the 2D movie we got the free 3D and a free ticket for any movies so yay going to use that.